Living in a big city can be fun and rewarding. But when space is limited and costs are high, finding affordable, appropriate housing can be a struggle. How crowded are our cities? Sydney has a population of almost 5 million, according to the Australian Bureau of Statistics; Tokyo had 9.3 million residents at the time of its 2015 census; Moscow had more than 12 million, according to its Federal State Statistics Service and London had 8.5 million residents in mid-2014, according to the Office for National Statistics. In response to the population squeeze, designers are coming up with clever solutions to maximise space. 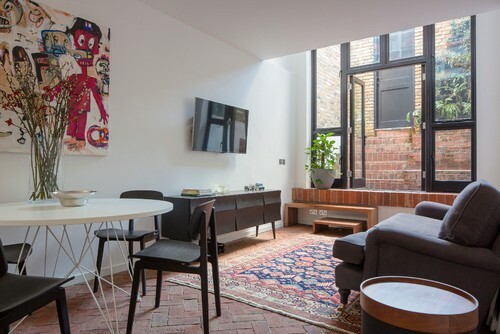 These four London homes show how to approach small-space design creatively in a big city. 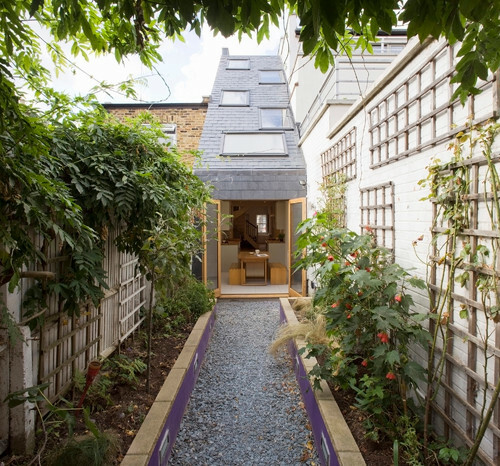 The Slim House is squeezed into a 2.3m-wide gap between two larger buildings. 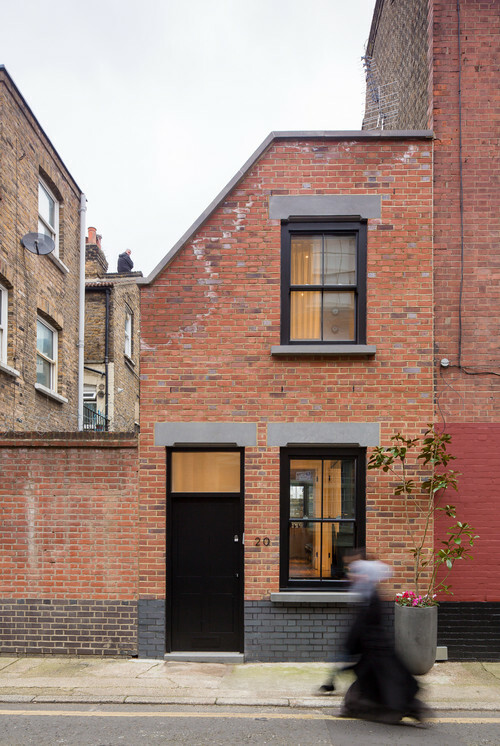 The narrow property is a masterclass in maximising the smallest of urban spaces to create a home. 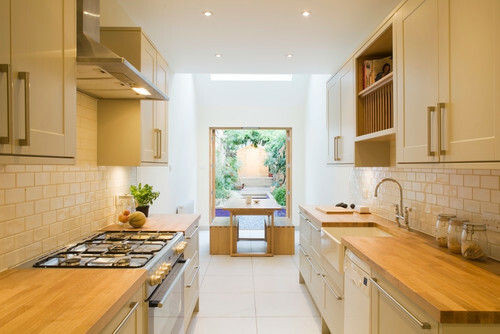 Tristan Wigfall, director at Alma-nac architects, transformed the two-bedroom, one-bathroom house with no dining area into a four-bedroom, two-bathroom house with a dining space opening onto the rear garden. He did it by extending the building at the back and upwards. The sloping roof and floor design raises ceiling heights in many of the rooms, increasing the sense of space. 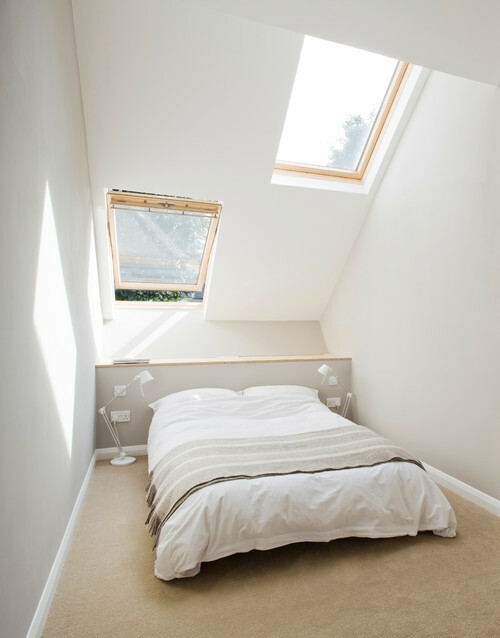 Multiple skylights and a central light well let sunlight into the narrow home. The project has ignited imaginations since its build. “We’ve been approached by various housing associations and developers to look at how the principles of the Slim House could be adopted in different situations,” Wigfall says. Expert tip: Use restrictions to inspire the design. Expert tip: In a narrow build, maximise ceiling heights. Expert tip: Simplify the space. 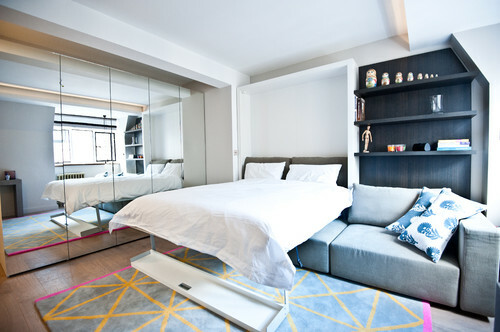 “The starting point for redesigning the apartment was to take out as many partitions as I could, to get it back to its rectangular shape,” Alexeeva says. “I’ll quite often remove all internal walls if possible. 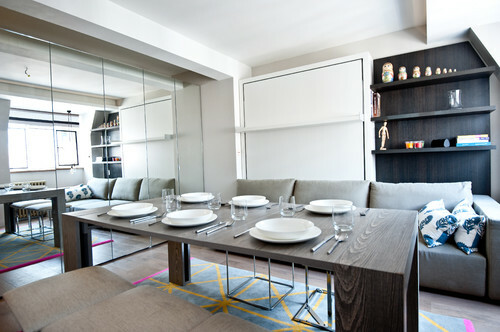 Here, I put the furniture and kitchen in first, so it accommodated all I needed – washing machine, dishwasher, fridge etc – and only then did I build the walls around it.” The main room in this flat can now serve as a living space, dining room, home office and bedroom with just a few adjustments. 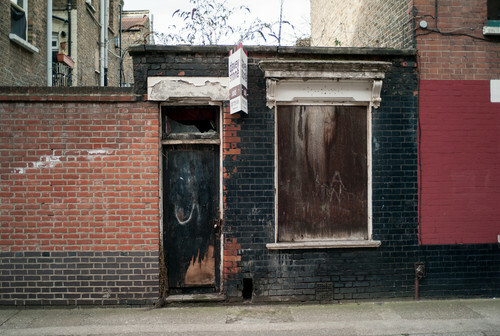 Most people would walk past this run-down workshop and see just a neglected commercial premises. 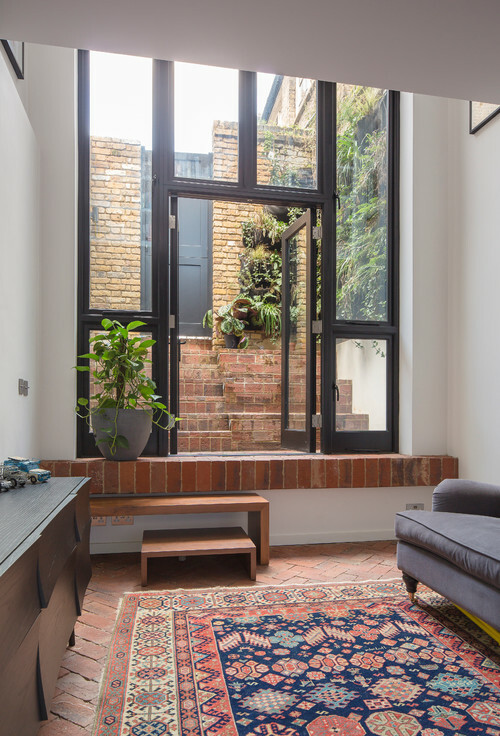 But when Fiona Kirkwood of Kirkwood McCarthy spotted this space in east London, she saw an amazing opportunity to convert a derelict building into a home. Everyone laughed, but I had conviction and got stubborn about it,” the architect says. Expert tip: Create sightlines to trick the eye. Expert tip: Don’t forget about outdoor space. “The whole house is about pushing what can be achieved on a really small site,” Kirkwood says. The steps in the courtyard, for instance, are carefully designed to be at seating height. “The courtyard is furniture – it’s like an amphitheatre. We’ve had 20 people sitting out there. It becomes a great social hub for the house and is a big part of the integrated indoor-outdoor sense we wanted to create,” she says. Take the full tour of this converted workshop. “To combat the overcrowding in London, we seem to have seen a move towards making the most of the river and canals that run through the city,” says houseboat owner Gary Marshall. 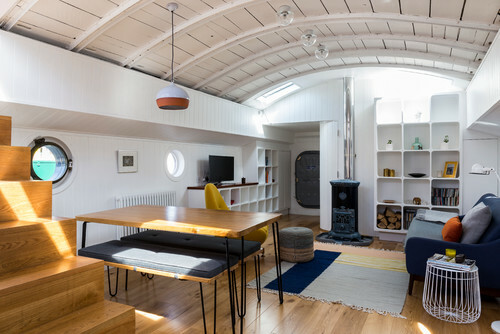 In a bid to find an attractive and affordable home in the heart of the city, he transformed this houseboat to create a chic and welcoming home for a fraction of the cost of a house in the area. Marshall points to “the regeneration of warehouses along the canals and new developments along the entire length of the Thames” as evidence of a shift towards living on the water. Expert tip: Open up the living space. As mentioned earlier, getting rid of dividing walls and a warren of small spaces can help a compact home feel larger, and it’s an approach Marshall has also adopted. 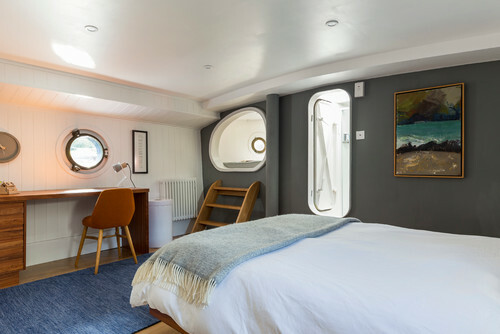 “Allowing the central part of the boat to be completely opened up to create a living/dining/kitchen/hallway [area], and using similar materials and colours throughout, has created the feeling of a much larger space,” he says. Expert tip: Maximise the light. All these designers stressed the importance of maximising the sunlight in their urban builds. It’s something Marshall also used as a guiding principle in his houseboat conversion. “Allowing as much light as possible into the environment,” he says, was key to making this compact boat feel like a spacious home. 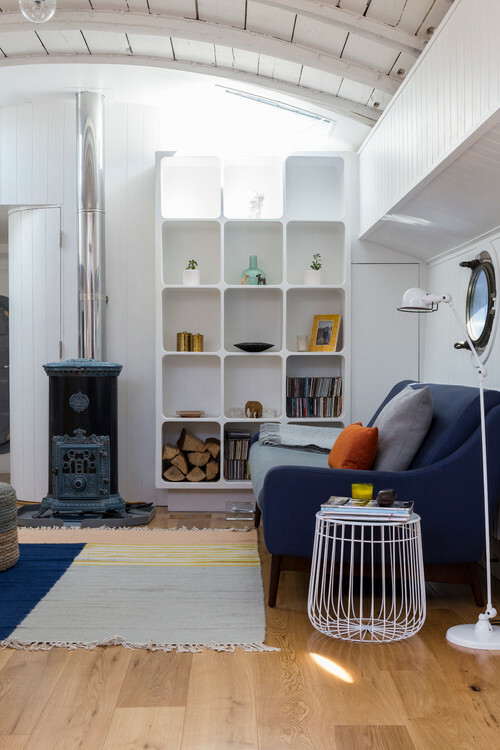 Take the full tour of this houseboat and view more small space living photos here. Houzz is the leading platform for home renovation and design, providing people with everything they need to improve their homes from start to finish – online or from a mobile device. From decorating a small room to building a custom home and everything in between, Houzz connects millions of homeowners, home design enthusiasts and home improvement professionals across the country and around the world.